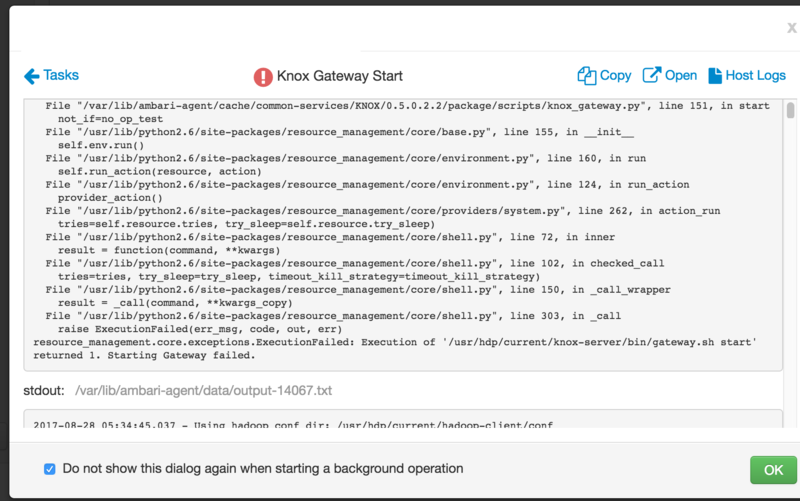 When you try to start knox then if it fails with following error then don’t worry, this article will help you to solve problem. INFO hadoop.gateway (JettySSLService.java: logAndValidateCertificate(122)) – The Gateway SSL certificate is valid between: FATAL hadoop.gateway (GatewayServer.java:main (120)) – Failed to start gateway: org.apache.hadoop.gateway.services. ServiceLifecycleException: Gateway SSL Certificate is Expired. 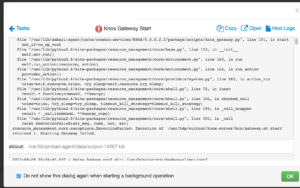 Root cause: It is because of your gateway.jks file corrupted.